I haven't designed a digital scrapbooking paper in a l-o-n-g time, so I thought it was time. 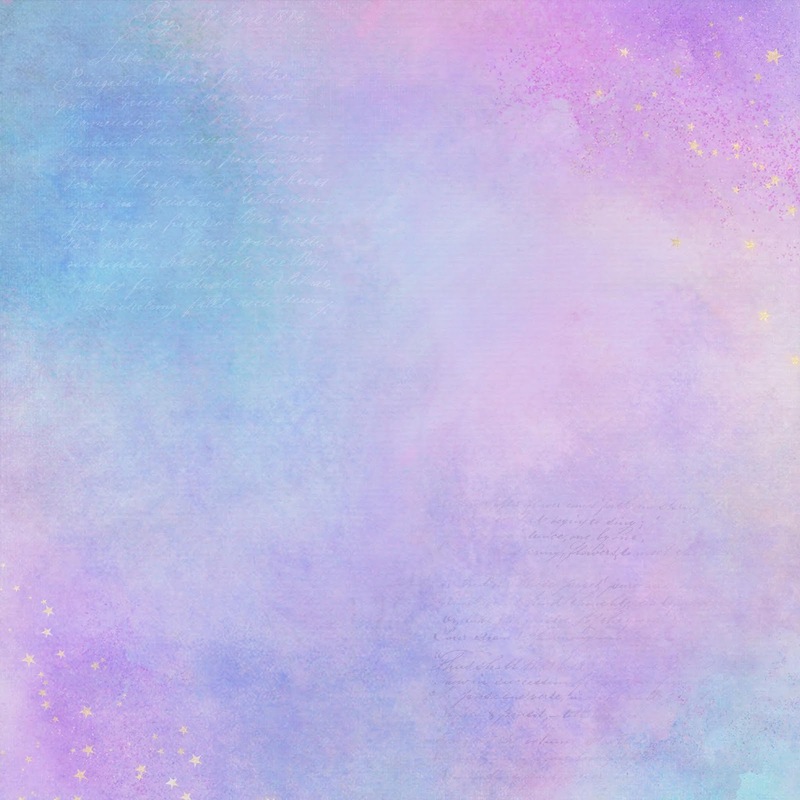 The result is this soft blue, teal purple and pink design that I call Dreamy Memories. I'm a sucker for soft textures and this particular color scheme. There was something so relaxing about them when I was putting them together to make this paper. It was a lot of fun to design. I actually would love to make a digital kit with this same look but I don't have the time right now. Maybe later. In the meantime, I hope you'll have as much fun using it as I had designing it! Credits: Thanks to Sheila Reid and Janet Scott from PixelScrapper.com for some of the components used to create this scrapbook paper.